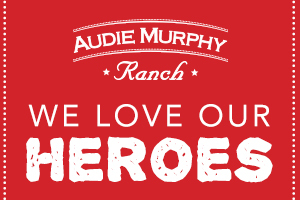 Audie Murphy Ranch is a vibrant family community and two brand new neighborhoods are opening soon! Don’t miss the excitement on Saturday, April 21st from 10am to 3pm when Brookfield Residential debuts Savannah and DR Horton introduces its Tribute neighborhood. Tour six beautiful model homes, enjoy complimentary refreshments, plus a live DJ and fun activities for the kids at the Ranch House. 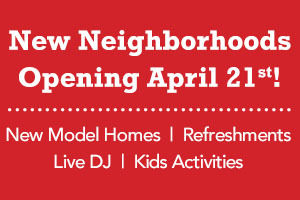 Bring your friends and we’ll see you at the Model Grand Opening! Click here for event details! Bring your Best Friend to Dog Day Sunday! Enjoy the wonderful weather and spend the afternoon enjoying fine wine, live music and socializing with other dog lovers! Bring your four-legged best friend for lunch and live acoustic music on the patio in wine country. 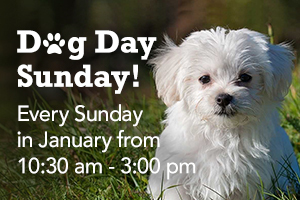 Every Sunday in January from 10:30 a.m. – 3 p.m. is Dog Day Sunday for humans and their well-mannered pets at Carol’s Restaurant at Bailey Vineyard and Winery in Temecula. All dogs receive a free raffle ticket for a bottle of Baily wine. It’s America’s Birthday! 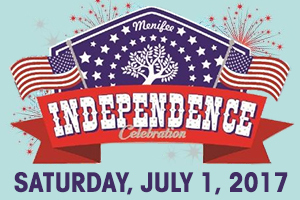 Come out to Wheatfield Park on Saturday, July 1st at 4:00 pm to celebrate the award-winning Menifee Independence Day Celebration! This annual event will include a variety of activities including family games, craft vendors, live entertainment, an expanded Kid’s Zone, a car giveaway and a car show. This is a celebration that you won’t want to miss! Your airborne escape awaits! Soar above the beautiful Temecula Valley wine country, drifting over picturesque vineyards as the sun rises over the mountains. View lakes, colorful citrus groves, wineries and estate homes from an unparalleled view in a seven-story hot air balloon. It’s the perfect way to celebrate that special birthday, anniversary or marriage proposal. 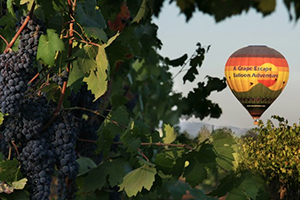 Temecula Wine Country Flights are seven days a week, weather permitting, and all of the balloons and baskets have the latest innovations in design, comfort and safety, and can accommodate two to 14 passengers. Take flight today! 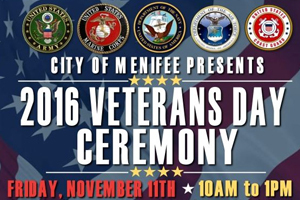 Mark your calendar for Friday, November 11th, and join the festivities as the city of Menifee hosts its annual Veteran’s Day Celebration. 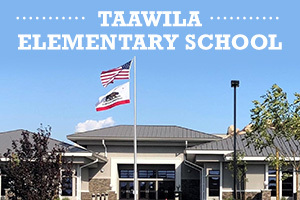 This year’s special event will feature a chalk walk, picnic games, family activities, guest speakers, and an essay contest for 3rd through 12th grade students. The celebration is from 10 a.m. to 1 p.m. and admission is free. Don’t miss the opportunity to honor your hometown heroes! Don’t miss the excitement when Dakota celebrates its highly anticipated model grand opening at Audie Murphy Ranch on Saturday, October 29th. This new single-family neighborhood will offer one and two-story designs with spacious interiors and modern amenities. 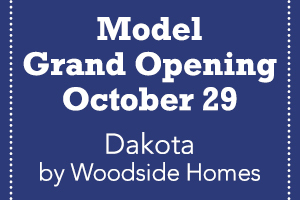 Save the date and be among the first to tour Dakota’s professionally decorated and landscaped model home! 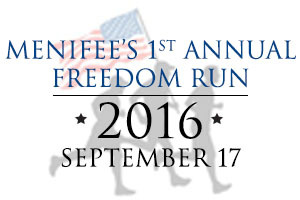 Mark your calendar for September 17th and bring the family to Menifee’s 1st Annual Freedom Run! Lace up your favorite running shoes and get ready to experience a fun-filled day of activities. Highlights will include a 10K, 5K or 3K for adult and junior runners, a Family Fair & Health Expo, local food vendors, plus an engineering class for kids and an interactive tide pool. See you there! Heroes Are Welcome & Rewarded at Our Neighborhoods! We love our heroes and as a thank you we want to honor you with a $2,500* Extraordinary Citizens Credit when you purchase a home at one of our exceptional new neighborhoods. Our incredible active and veteran military, firemen, teachers, nurses and police help educate, protect and save lives and now is our turn to extend our gratitude with $2,500 design center savings towards your new dream home! *Credit to be applied toward options purchased through the builder Design Studio and cannot be combined with any other offers. Any unused portion of the credit will revert back to the Seller. Offer is valid for all new contracts executed from Sept 9, 2016 and must close escrow by Dec 31, 2016. 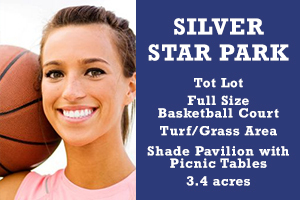 See neighborhood sales representatives for more details. Copyright © 2016 Audie Murphy Ranch.